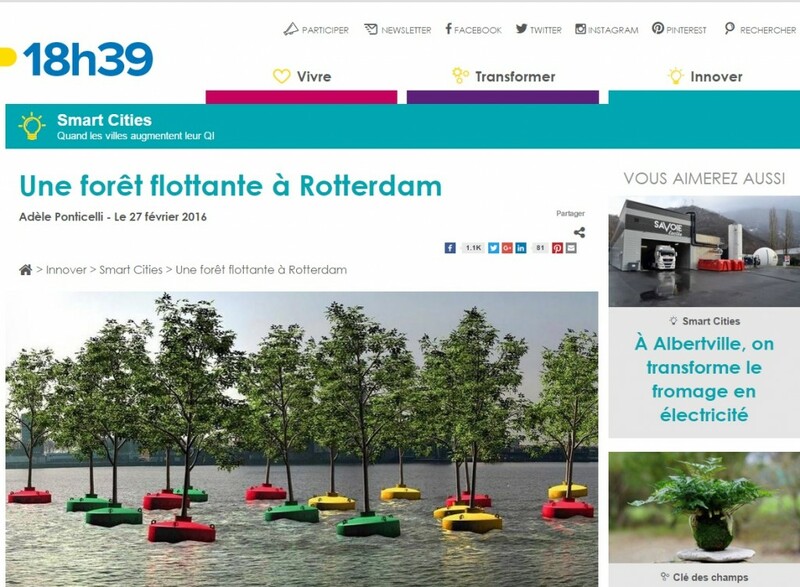 Rotterdam getting a Bobbing Forest is a clever step according to the French 18hr39. In the category smart cities they write about the forest that will be launched into the water on March 16. If you want to read the French article, click here.